When our customers in Brisbane and the Sunshine Coast think garage doors most of them think B&D! They have been the market leaders for a long time due to their exceptional range, quality and value, and we are proud to be accredited B&D dealers for sales and garage servicing. There are many different types of B&D garage doors available and we can supply all of them for you. They offer a huge selection of colours and styles, and most of them are designed so they can be tailor-made to meet your specific needs. Looking for a Beautiful Compliment to Your Homes Exterior Design? Then you are ideally wanting a Sectional Panel Door! These doors are the most aesthetically adaptable, and are available in a range of colours, patterns and may also feature windows. Sectional doors can be made of wood and other materials, but are most commonly made of steel. Because this is the most popular category it also has the widest selection; B&D offer 3 ranges – The Panelmasta, Panellift, & Firmapanel. We can of course advise which is going to be most suitable for your specific requirements, but they are all made from a number of rigid sections/panels that are hinged together and move vertically in the opening, then horizontally along the ceiling, guided by tracks and counter-balanced with springs. Low Headroom? If you want to replace your old Tilt Door, or are looking for a new door for a garage with reduced overhead space then a BND FlexiDoor is for you! They are made from a durable Roll-A-door curtain that is fitted on a curving track which slides from a vertical position up into a horizontal position, close to the ceiling. A Flexidoor is especially suited to applications where there isn’t the headroom for a rolling door, or when you require a smoother, easier to use solution to replace an existing tilt door. On a budget & have plenty of headroom? Then you’ll most likely want a B&D Roller Door that sets the standard for traditional garage doors; strong, durable and great value! Choose from the very popular Firmadoor or Rollamasta ranges; they are both comprised of a ribbed steel curtain that moves vertically in the opening and rolls up and around the drum, guided by tracks and counterbalanced with springs. 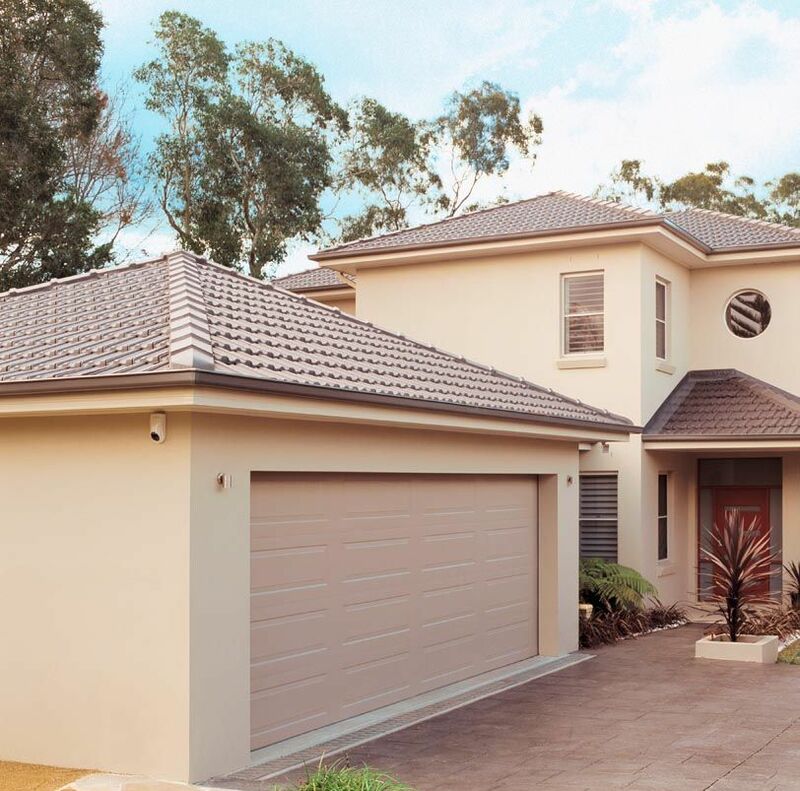 We hope that helps to clarify your decision making, but to make things easiest for you we provide a free in-home design consultation service to ensure that you are able to purchase a B&D garage door that you will be very satisfied with, Call Today on 5476 9227 to Book!